Neighborhood Farmer’s Markets. Great chance to support your own neighborhood or get out and explore a neighborhood that is new to you and eat some good food. 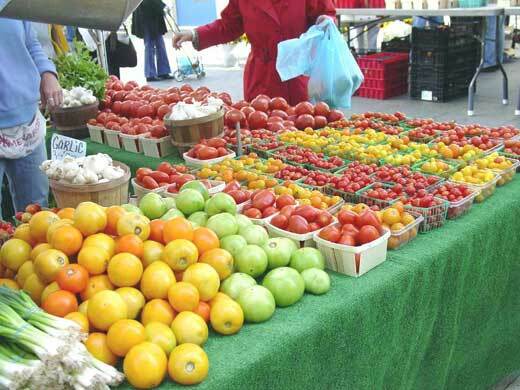 Farmer’s Market: Portage Park, Sunday 10 am – 2 pm at Central and Berteau Ave in Portage Park. The Friends of Portage Park website also includes a great feature called What’s In Season growing chart. You can track when your favorite foods will be ready to eat. Chicago Landmarks Before the Lens: Features black and white photography of 24 landmarks and historic districts from various artists. Movie Mojo: Hand-Painted Posters from Ghana: Posters from the 1980s that are Ghanaian takes on Hollywood, Bollywood and other cultural movie phenomenons. Go Figure: The human form as interpreted by nine different artist using various art mediums. Warhol at Work: Portrait Snapshots, 1973-1986: Polaroid and black and white photographs taken by Warhol of his friends, parties and the New York streets. To Do This Weekend so i comprehend your viewpoint.